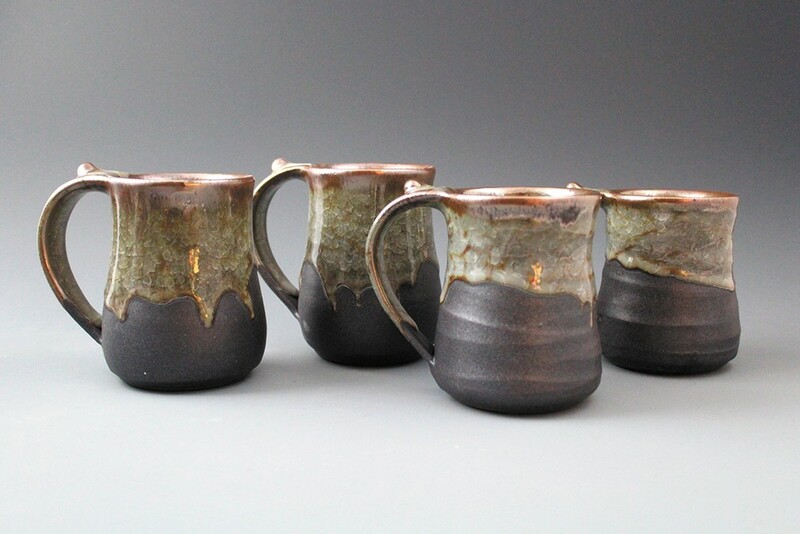 A set by Reid Ozaki in the fifth annual Cup of Joy at Trackside Studio. Spokane's monthly arts showcase features events, including gallery receptions, live music and a chance to meet local artists, across the downtown core and beyond. Receptions for this month's event happen on Friday, Dec. 7, from 5-8 pm, unless otherwise noted below, where events are listed alphabetically by venue. These listings were compiled from information provided by First Friday's organizer, Downtown Spokane Partnership, as well as host venues and artists. Red stars denote Inlander staff picks; for additional information visit firstfridayspokane.org. 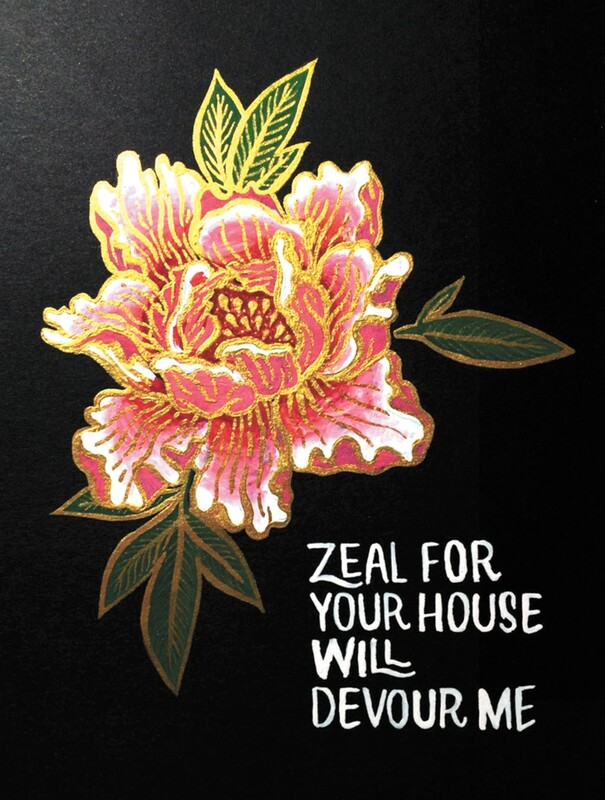 1900 House & Home, 114 W. Pacific Ave.
Art by Haley Roberts, Amalia Fisch and Ginny Brennan. Graphite portraits by Lead Hound Art along with the monthly 3 Minute Mic open mic series at 8 pm, hosted by Danielle Estelle-Ramsay. Three exhibits are featured: The Night Sky by Pat Schilling, The Nature of Things by Jan Hess and Spokane River Landscapes by Gonzaga University art students. Photography by Jay Cousins and jewelry by Morgan Laine, from 4-9 pm. Watercolor paintings by Jeannine Marx Fruci, with music by the duo Sadie and Desiree from 5-10 pm. Art by Shelby Allison. Reception 3 pm to close; live music by Laminates and Pit at 9 pm. Live music by Ray Vasquez. Holiday floral arrangements are displayed; also includes a wine and chocolate tasting from 6-8 pm. The All Media Juried Exhibition, curated by Mason Miles and featuring 36 regional artists. Poetry readings at 6 and 7 pm. Cherry Street Studios, 1123 S. Cherry St. The annual open house for the black-and-white film photography studio of Bill and Kathy Kostelec. Dec. 7 from 5-9 pm and Dec. 8-9 from 1-5 pm. A piece from Made Flesh by artist Marina Gulova at Community Pint. Made Flesh by Spokane artist Marina Gulova. Alcohol ink paintings by Frankie Benka. Hand-carved wood and watercolor paintings by Michael Marsh alongside photography by Ira Gardener, from 6-8 pm. Watercolor paintings by Becky Gromlich from 2-9 pm. See the 28 painted hearts created by regional artists for the Give Love Public Art Project & Benefit, supporting the Ronald McDonald House Charities of the Inland Northwest. Art by Makayla Cavanagh, Jun Oh and Brittany Decker. Fellow Coworking, 304 W. Pacific Ave.
Hand-carved relief prints by Reinaldo Gil Zambrano. Music by the Front Porch Trio: Steve Simmons, Rick Singer, Alan Fisher. Indaba Coffee Roasters, 518 W. Riverside Ave.
Prints by local artist and Inlander designer/illustrator Jessie Hynes, with live music by Nate Ghering from 6-8 pm. A collection by artists represented at Coeur d'Alene's Art Spirit Gallery, including Jeff Weir, Mel McCuddin, Sheila Evans and more. Score: Art and Music Collide is a mixed media and audio collaboration by Larry Ellingson and Timothy Ely. Paintings by Darcy Lee Saxton from 5-9 pm. Paper Works features serigraphs, prints, giclees and original works on paper by artists from the region and beyond. Drawings and paintings by Kaitlin Nuetzmann with live music by Debrah Stark from 5:30-8:30 pm. Music to Your Ears features mixed media sculptures by local artist Droz, alongside art by Vicky Cavin and Betty Bradley, from 5-9 pm. We Are Still Here is a showcase of work by regional Native American artists, which includes a live auction on Dec. 8 from 2-5 pm. Reception Dec. 7 from 5-9 pm and Dec. 8 from 10 am-5 pm. Carved wood by Joe Simonson and mixed media by Erik Sullivan from 5-9 pm. You Filthy Animal 2: A Home Alone Themed Art Show benefits the cancer funds of Susan Webber and Kelly Vaughn. Reception from 6-9 pm. A pop-up holiday sale featuring work by members of RAC. Also includes Cyrus Clark's computer algorithm-inspired multimedia project #sad. This month's all-ages garage party features music by Andrew Dempsen, Glen Schroeder and Luke Stuivenga, art by Caroline Bickford, food and more. Events from 4-10 pm. Featuring Spokane Falls Community College students' photography in the Kress Gallery (third level). Libertad by Diane Adler, with a tasting of new wine vintages. The annual Small Works Sale features small and affordable pieces by Saranac members and guests. Open through Dec. 22. Art by Brian Gabbard, of the art project Draw With Colors, from 5:30-11 pm. Myesha Callahan-Freet's mixed-media portrait series You'd Look Better With a Smile, with music by singer-songwriter Kyle Richard from 6:30-8 pm. Stan Miller Studios, 3138 E. 17th Ave.
A home studio show and open house for the internationally known watercolor and egg tempera painter. Dec. 7 from 5-9 pm, Dec. 8 from 11 am-6 pm and Dec. 9 from noon-4 pm. Angels for the Holidays by Ellen Blaschke. Live music by Jonathan Nicholson from 6-8 pm. The fifth annual Cup of Joy holiday invitational features work by 36 U.S. artists; reception 5-9 pm. Abstract oil paintings by Ricco DiStefano from 5:30-9:30 pm. Music by fingerstyle guitarist Lane King from 5-8 pm. The original print version of this article was headlined "December Delights"